I’ve been spending the holidays in Tennessee and really enjoying all these storms. Happy New Year! I am so grateful to be back home, and loved coming back and seeing all these signs put up by the community. I am so grateful to all the fire fighter heroes for their amazing efforts in fighting this fire and saving our homes, animals, land, and businesses. In memory of the twelve people killed at Borderline in Thousand Oaks. 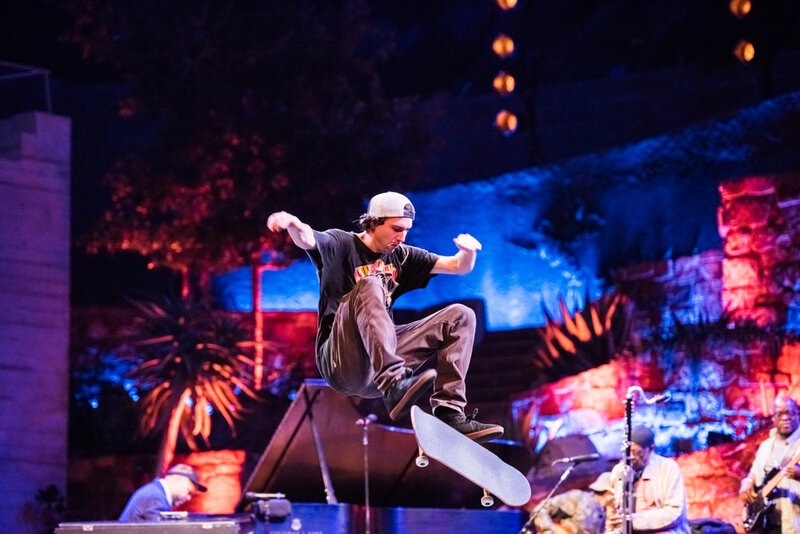 I made some photos for LA County / The Ford Theatres of Jason Moran’s “Finding a Line,” an exploration between jazz music and skateboarding. 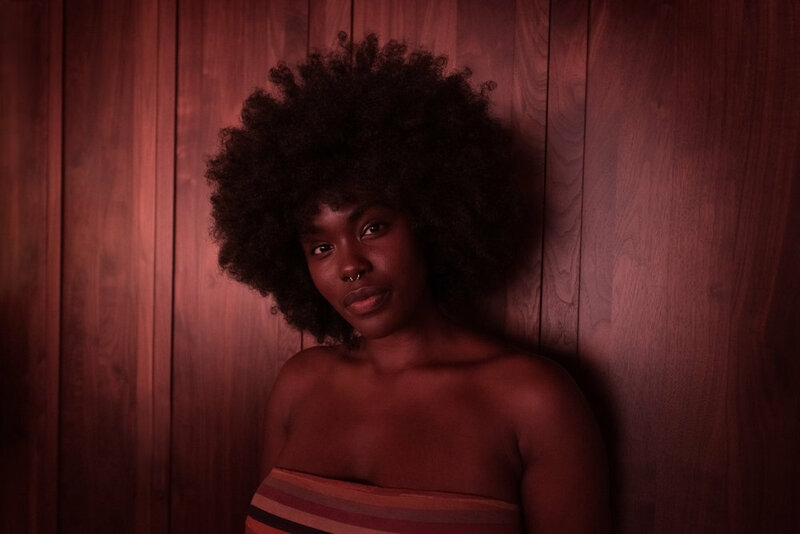 I made some photos of Marjani Forté-Saunders’ beautiful theatre piece Memoirs Of A … Unicorn for the Ford Theatres. Stage structures created by MacArthur Genius and Tony Award-winning set designer Mimi Lien. I made some photos of Jason Isbell & the 400 Unit for Premier Guitar. Love shooting his band. I made some photos of Phoebe Bridgers out in Pioneertown at Pappy & Harriets for Sid the Cat Presents. Beautiful evening and I loved making these images. Check out Phoebe's album Stranger In the Alps if you haven't heard it yet. Check out this feature I shot of Ashley Chanel / Ash to Ash Productions for the Summer issue of Hidden Hills Magazine! Thanks to Southern California Life Magazine for featuring me in their July/August issue! I made some promo photos for Dreka Gates of her and her with her kids in Santa Monica. I made some photos for the marketing campaign of Woodbury University's Applied Computer Science department. I love seeing art mix with technology like this, and there were so many interested projects coming out of the department. Check out my promo photos for the Conor Oberst and the Mystic Valley Band reunion tour! I made some marketing photos for the historic Ford Amphitheatre of Chano Dominíguez performing his sketches on opening night. The Ford Amphitheatre is such a beautiful venue, and such a special place to see music and art. Check out one of my photos of Graham Coxon and Damon Albarn in the last issue of Premier Guitar. I made some photos for the Los Angeles Philharmonic / Hollywood Bowl for their opening night. I made some promo photos for musician Nick Norton. Nick is a classically trained musician who is also in a punk band. He grew up having spent a big chunk of his childhood on Catalina Island and has a special connection to the ocean. We tried to encompass all these aspects of his background into the photos we made, and this is my favorite image from this shoot. I made some photos of saxophonist Ari Garcia. Here is my favorite image from the shoot!